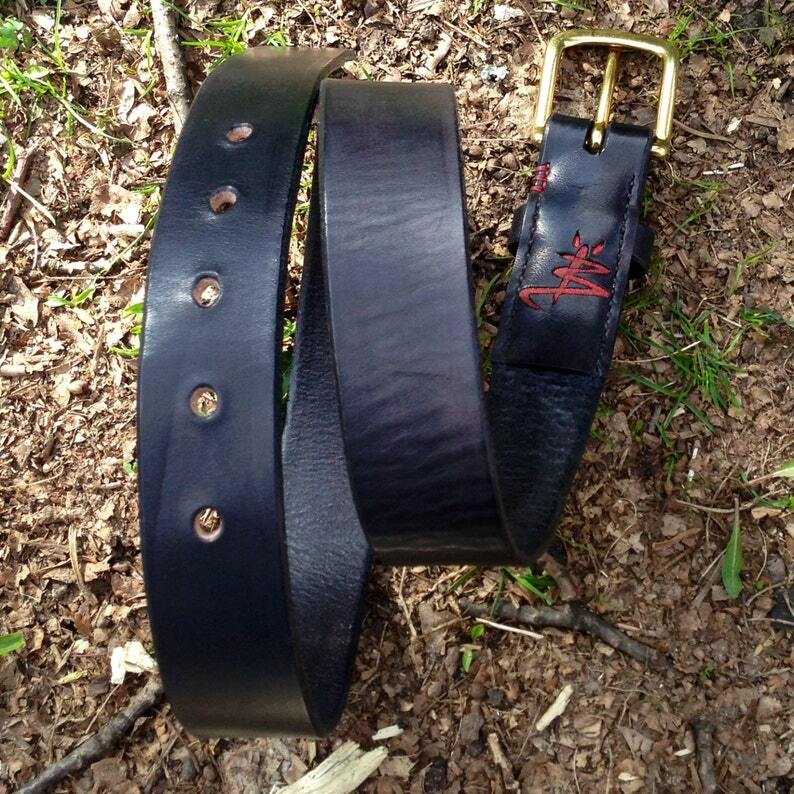 This Heavy Duty Leather Belt is made out of 11/12 oz (about 5-5.5mm) veg tan leather. It is 38mm wide and the buckle is a solide brass buckle. This leather belt is hand sewn and the fold is comfortably skived by the buckle for a good comfort with no bulky edges. It is hand cut/dyed/sewn in Sweden. Be sure to send a measurement as instructed in the picture! If you do not currently have a belt, use a tape measure and be sure to pull it trough your belt loops.